Oct. 18, Jennie and I made the trip to Henderson, NC along with our good friend Jody Leasock, his brother, (Denny) and brother in-law (Jason) to race with the Southern Slingshots at the near by Roxboro Dragway. This race was the ?kick-off? event for the 6th annual East Coast Drag Times Hall of Fame weekend. The Henderson event continues to get bigger every year with expected 2500 vehicles to take over the historic downtown area. For the second round, we were back to the christmas tree and time slips. Once again, Mike and I got ready for out race by doing big, long side-by-side burnouts. Jennie helps me back up into the fresh streaks of rubber that was just put down. Again, at the hit of the throttle, the front wheels are in the air. Mike?s big-block is right next to our car despite our slight reaction time advantage. 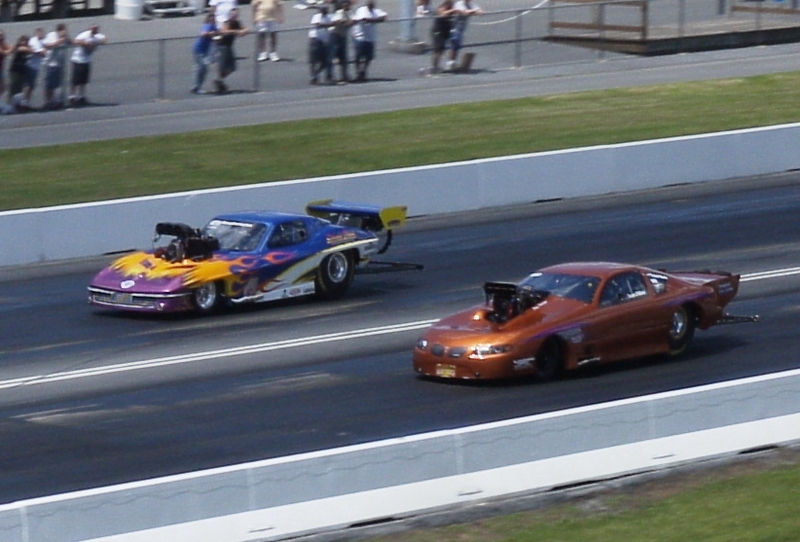 Our car was first to the stripe running 4.68 @ 152 mph to Mike?s effort of 4.94 @ 154mph. One of the issues most of the Southern Slingshot drivers had in common at Roxboro was helmet visor fogging. It is normal for helmet visors and Lexan windshields to fog up on humid evenings while waiting to race. Usually the fog evaporates quickly while going down the track. This was not the case at Roxboro. There was a lot of talk between drivers as to how to cure the problem, but nothing seemed to work. Mike and I agreed before the third and final race, that it was no use to take chances. If the fogging issue persisted, we would lift at half-track. That was the case, and Mike and I both let off and coasted through the lights, our car slightly ahead. Both Jody and the nitro altered he was racing had problems on their first runs. Clutch problems forced the nitro altered onto the trailer. Jody shook the tires so hard during his burnout that the valve stem was ripped away from the inner-tube of his rear slicks. In a spirit of determination, he and his crew removed the tubes on both rear tires, and made the call to the staging lanes for the last round of racing. 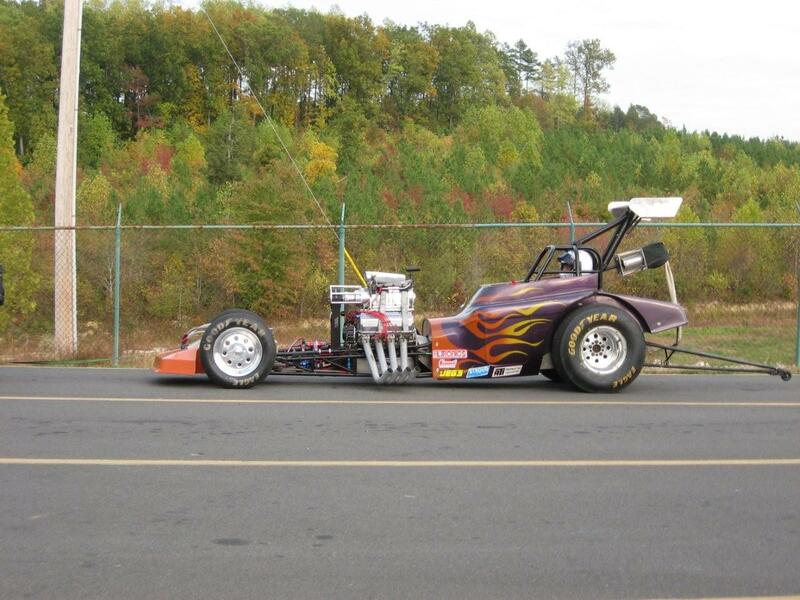 After a full track length burn out, Jody backed up his small-block Ford powered altered. His car left the starting line hard and was on a good run. Unfortunately, his car began skating around about half-track and was shut down early. The local Dodge dealer in Henderson sponsored a car sh ow and cruise on Friday. There was free Bar-B-Que and Coke for everyone in attendance. Even pesky rain showers couldn?t dampen the spirit of all the participants. Even though we decided to leave the dragster in the trailer, we had a nice relaxing time looking at the cars, passing out Gospel Motorsports info cards, and talking to lots of people. 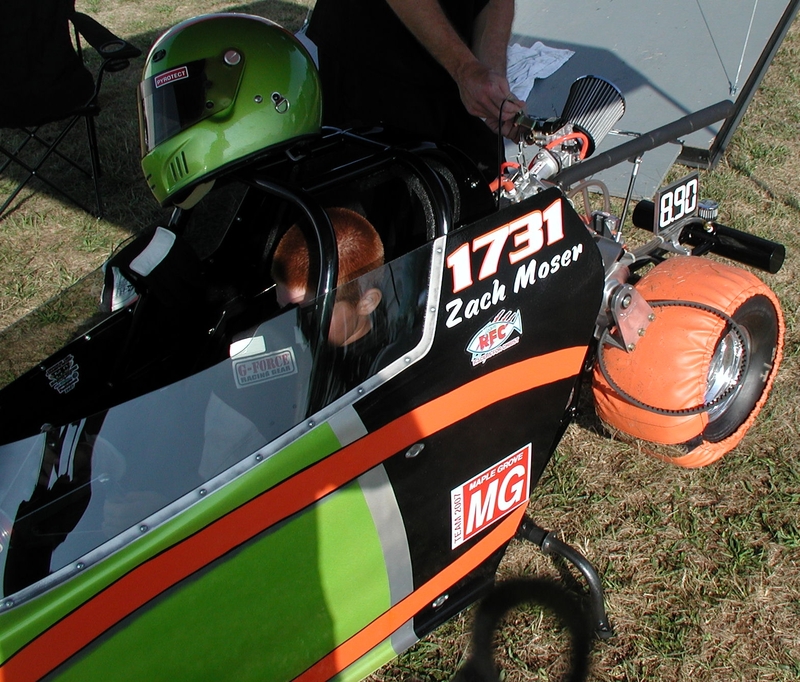 The 2007 Geezer's event at Maple Grove Raceway was a great time for Gospel Motorsports with new racing accomplishments and opportunities for outreach. Adam and Jennie Pyle's Snake-Bit nostalgia dragster team arrived from Somerset, Pennsylvania as the gates opened and met up with Darryl and his dad. After getting through tech, it was determined that Snake-Bit could run in the exhibition class and Adam would be able to match race with their neighbor Jody Leasock who journeyed with them along the PA turnpike. Jody races a blown small block Ford altered. It was shaping up to be an ideal match race, Chevy vs. Ford, Dragster vs. Altered. The pit side at Maple Grove was packed, extending parking into the far reaches of the field. While the Gospel Motorsports teams got ready to race, many fans of drag racing, both current and from yesteryear stopped by to speak with the teams about their cars. A gentlemen who had just received bypass surgery five weeks ago visited to speak of his inspiration to work on his Nova drag car. A father and son shared their racing and restoration interests and shared their faith in Christ. The chaplain at the track started the race with a prayer of thanks for the blessings and a request of healing for one of Don Garlit's crew members who is struggling with their physical health. The racing got underway as the nostalgia I & II classes made their time runs. 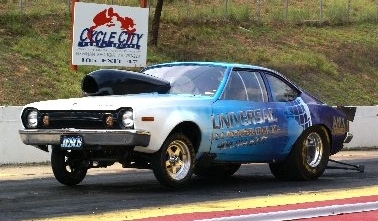 It proved to be a hot day for Darryl's Nova as the car slowed a few tenths from its typical ET to 11.80s. The exhibition cars were then called to the lanes where Adam and Jody had the company of nitro nostalgia dragsters, funny cars, and a wheel-standing bus. The anxiousness of the crowd grew as Maple Grove made their meticulous track preparations. The first few exhibition cars made their runs and then Adam and Jody made the bend from the staging lanes, Adam on the right and Jody to the left. The sound of the zoomie headers made a crackle in the air as the two cars came to life and the whir of their superchargers made a subtle but powerful undertone. The two rolled through the water box and and lit their tires almost simultaneously. While Adam's car continued to roll forward after the burnout, Jody's lost its pulse as the blower belt was thrown from the front of the engine. Jody unfortunately would not be able to make a pass after the breakage and they pushed him back. After clearing the left lane, Adam re-fired the motor and prepared to stage for a single run. The car launched hard with a 1.09 sixty foot time and ran hard for an ET of 7.41 at 174mph while still having more left in the tune-up on the top end. It was a strong run that brought cheers from the crowd as Adam's pass was one of the quickest of the day. Unfortunately the program ran later than expected at Maple Grove and the Snake-Bit team began preparations to return to Somerset, staying for the cacklefest with Don Garlits firing up one of his Swamp Rat dragsters and the Jade Grenade nostalgia nitro dragster. It was a great tribute to these cars and drivers. The track also recognized a local Pennsylvania funny car racer who was known for his showmanship, Jungle Jim Lieberman who had passed away 30 years ago. The Geezer event was a great opportunity for fellowship among the Gospel Motorsports team and visitors alike and hopefully will bring many opportunities for outreach in the future. It was announced that next year the Geezer race would be a 3-day event at Maple Grove. There are times where events unfold before you and within an instant you are confident that you are seeing His hand at work upon your life. September 15th, 2007 became one of those days for Darryl both directly and indirectly. It started like most race days for the Gospel Motorsports team as the team members were assembled for the journey and upon arrival enjoyed another remarkable breakfast prepared by Neil. 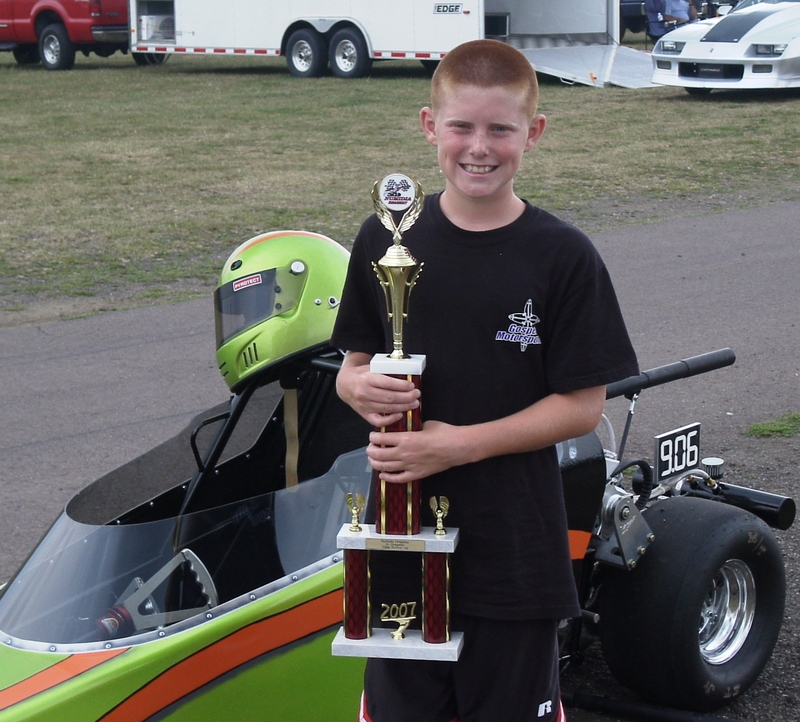 This day would offer the Junior Challenge race for Maple Grove which would bring many junior racers to compete for special trophies within their age groups. Zachary's car appeared to be running slower than anticipated. The computer confirmed a malfunction by showing a fluctuation in the cylinder head temperature. Prior to first round of eliminations, the spark plug was tightened as the expected culprit, and while the car returned to normalcy, the first round ended the day for Zachary with a .010 red light against fellow Maple Grove racer, Kelli Witkowski. Kelli had a great day and went on to runner-up in the 10-11 age group. The afternoon brought the opportunity to fellowship with Doug Myers who had shared of an outreach that would be happening at Williams Grove Speedway in the coming weeks. As the discussion moved between racing and worship, Doug shared a scripture that is particularly meaningful to him, Matthew 6:33. The chapter begins with speaking about how God had provided for the splendor of Solomon and describes how the same provision exists for us if only we will seek him first. The scripture had a very unique context for Darryl as well and an irony that dates back to 2001, the first time he met Doug. As the two shared their highs and lows of racing, Darryl mentioned his limited success racing as a hobby in 1991, having three runner-ups and qualifying for the bracket finals in that year, but having never won a race. In those years, Darryl was captivated by many things, but did not have a focus or respond to the calling of the Lord. A few years later, in 1999, Darryl removed a few of the obstacles in his life and re-instated his relationship with the Lord. There was little racing in those years, but In 2001 after re-assembling the combination in the Nova, Darryl entered the Super Chevy race. After going six rounds, Darryl met Doug in the final. While at first it would seem that Darryl's first racing victory was provision referred to in the scripture, today's discussion and fellowship with Doug on the foundation of the Lord has become the real blessing of that 2001 event. As for Darryl's race day, he managed another first with a .000 light in the first round of competition, making it to the third round to face John Grater. John is an amazing person and always friendly and helpful. To round out the story, two of the three final round losses experienced by Darryl in 1991 were to John. During this race, both cars bumped in deep, but Darryl went in too deep and had to back off the tree. John cut a .014 light to Darryl's .149, but John ran off his dial by a tenth making it a close .02 at the finish with the well deserved win going to John. The next day at Sunday's church service, Pastor Bryan Moore presented a sermon based on Building and Restoring Integrity in Church Membership. One of the foundational scriptures was Matthew 6:33. There are times were the Lord speaks to us silently, but his message could not be any clearer. Adam and Jennie Pyle visited what remains of Pittsburgh International Dragway (PID) with their blown and injected front-engine dragster, Snake Bit. After navigating the narrow "path" to get to this nostalgic site, the Pyles unloaded the dragster and took a few photos to herald the glory days of this track from the 60's and 70's. Looking at Snake Bit pointed to the finish line, the sound of the surging blower motor starts to increase in decibels as the alcohol fumes fill the starting line, and the car begins to stage, the rpms come up as the tree comes down and another pass is made in our memories of a track that brought many of the best drivers from the Pennsylvania and Ohio area. After the photo session, Adam and Jennie headed 30 miles north to Starlite Car Cruise in Wexford, Pennsylvania. Starlite is advertised as one of the largest weekly car cruises on the east coast. Over 950 cars were in attendance of all varieties including street cars, hot rods, muscle cars, lead sleds, imports and bikes. What makes Starlite even more special is that the cruise is wrapped around a ministry and a church as the event is held in the North Way Church parking lot. To see more photos of PID and Starlite Car Cruise, click here. On July 29th the team made its way to Numidia Dragway for the first race with the new junior combination and the new team colors. The tow was long but uneventful through the mountains of central Pennsylvania. We geared up for time runs, and Zachary clicked off a 9.10 followed by a 9.01. The team was filled with smiles that the out-of-the-box combination was close to the 8.90 index. First round found Zachary with a win running a 9.02 on a 9.00 dial. Next round Zachary faced Anthony Guido and ran an 8.985 on an 8.98 dial. In the third round Zachary faced Kelli Witkowski who also runs an EP Motorsports motor and who has run very competitively at Maple Grove this season. Zachary had a small edge on reaction time and was able to run 8.98 on an 8.96 dial for the win. The rains then came as the team threw all the gear in the trailer and took cover. As the sky let up, Zachary prepared for a bye-run into the final. Bob Dimino is a great track owner and operator as he comes through the lanes to greet the kids and promotes a sense of accomplishment for the younger racers by running two age groups with a run-off between them for the final. In the final round, Zachary ran a breakout 9.02 on a 9.06 dial in the runner-up effort. It is hard to not consider the blessings of this day by going five rounds with a new car and first time out for the season. On the ride home, the team stopped at the Burger King at the intersection of Route 61 and Route 78 as they needed to pickup added ballast from Cabelas for those cold days in fall. As the team stood in line to place their order a gentleman asked where we got the shirts. We shared they were team shirts and went on with our order. The gentleman and his friend walked out and that nudge of the Lord taking you by the hand led Darryl out to the parking lot to discuss their inquiry about the shirts. As the rain fell, Darryl and the two gentleman stood outside the trailer discussing their faith in the Lord and how to bring the values of Christianity to racing, baseball, and all walks of life. We hope to see them again in their Gospel Motorsports t-shirts. It was hard to put to words how much the team missed the opportunities of good-hearted competition and witnessing for the Lord through the first half of this season, but it came on strong on this day and was an incredible blessing. 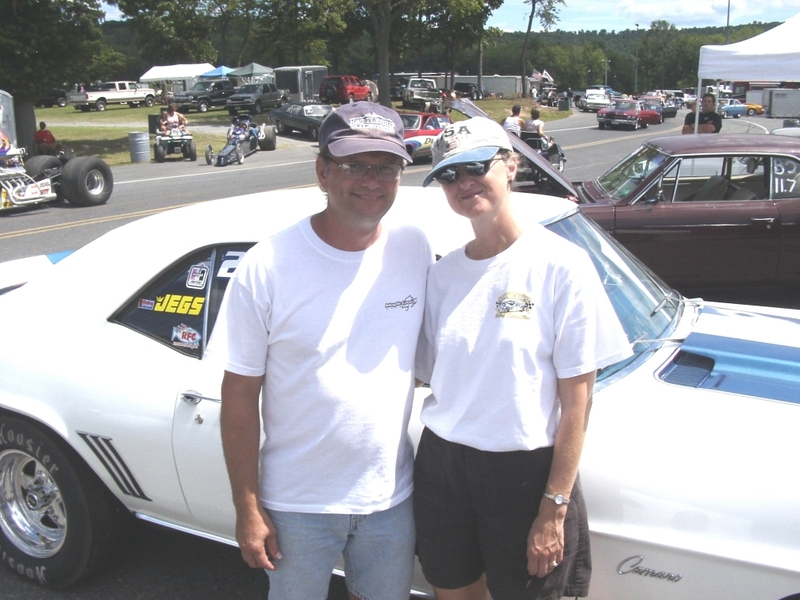 After meeting in the final at Super Chevy six years ago, 2007 brought us together with Doug and Cathi Myers in a whole new light. That light was our mutual love for Christ as we shared our walks of faith in discussions during the second round of time trials and throughout the event. Doug and Cathi attend Calvary Chapel in Lancaster and Cathi works as a missionary providing ministry to the mentally disabled. Doug races a 1969 Camaro Z28 that runs very consistently in the mid to high 11 second range and is very competitive with numerous race wins to his accomplishments. We had great discussions about the possibilities of bringing church services to Maple Grove Raceway on Sundays if we can just work out the logistics in cooperation with Racers for Christ and the track. Super Chevy has become a mainstay in the Gospel Motorsports lineup of events and this year was blessed with awesome weather and a great turnout. Roger Gustin continues to provide a great show with nitro-coupes running low six second ETs and jet cars reaching 300mph. 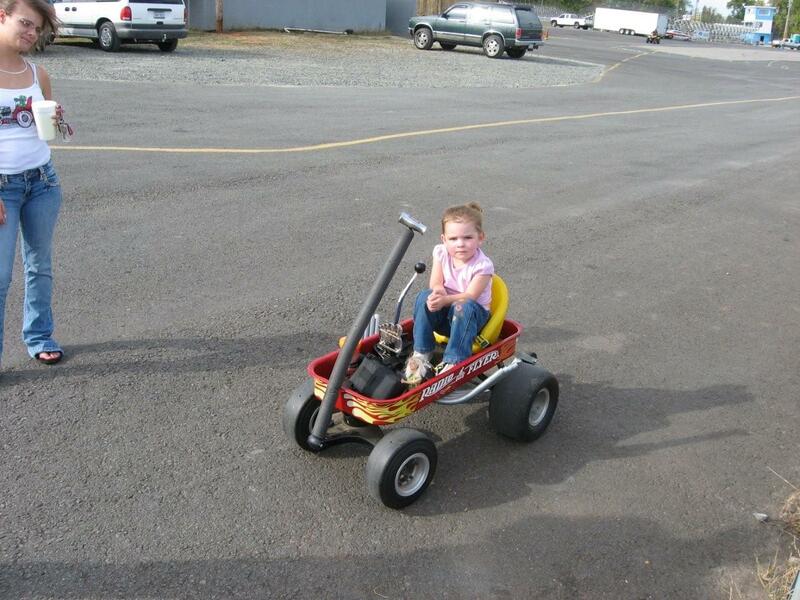 The car show is top notch and the bracket racing is designed to be great fun for the many participants. It takes all three days to get in a full program with time runs on Friday and Saturday and one round of eliminations Saturday afternoon. On the way to the track on Sunday, the team held a roadway Bible lesson about David's son Solomon and his desire for wisdom and knowledge to rule God's chosen people. God blessed him with knowledge and because his request was used for the good of the nation, God blessed him with riches and greatness. Although a bit heavy for an early Sunday discussion, Solomon's wisdom was exemplified when he needed to discern which of two women were lying about whose baby survived and whose died. He just offered to cut the baby in half so it could be shared and the real mother was revealed. They also covered Proverbs 19:21 "You can make many plans, but the Lord?s purpose will prevail." which somehow struck a chord with this year's racing. The racing was terrific fun while Darryl entered both DOT and Bracket 2 classes and while red-lighting first round with a -.007 in DOT, he managed to get to third round on Sunday in Bracket 2 after winning a very close second round with a .005 to .016 reaction time advantage. In the third round he would lose to a 9 second 148mph Lumina. There was nothing but the red flash of Nick Lewis' car flying by at the finish line as Darryl hit the brakes too early. Gospel Motorsports enjoyed meeting new brothers and sisters in Christ in the staging lanes and at the Sunday services held by Racers For Christ. Pastor Dan Laterza and his wife Claire were unable to make this year's event, as Greg Whedbee and his wife Anne provided services with a message about the greatest cities of all time. Pastor Greg shared that while New York City and Hong Kong offered financial greatness, as Christians we can recognize the value of Bethlehem a town of a few thousand that gave birth to a king, who would later lose his earthly life in Jerusalem, the second of the cities to provide each of us with the opportunity to be a part of the third greatest city which John describes in Revelations as the New Jerusalem. Imagine a city sparkling in bright light, jewels, where no pain and suffering exists that has been granted to us if we accept Christ's call. Eric writes to us from Georgia where he runs a 1973 AMX Hornet wrapped around a tube chassis. His power comes from a methanol injected 336ci small block Chevy and rows the gears with a Liberty Pro Stock 5-speed with a 6.4 rear ratio. The car weighs in at 2400lbs and runs low 5's in the eighth mile. The motor reaches for the sky with a launch rpm of 13.5k and shift points at 15k. The blue Jesus license plate looks great on the car also. Eric's team is called Power Camp Racing after their ministry, Power Camp Ministries. Power Camp was started in 1997 as an outreach ministry by Eric & Alma Reed. They traveled around to local areas setting up a tent and holding a church services on Sundays. After church they would provide a meal and pass out clothing to the attendees. Eric writes, "every so often the Lord would lead us to have a baptism service and we would get the mobile baptism pool and baptize all comers. A lot of people have been led to the Lord and baptized since '97, and we plan to do a lot more." Eric and Alma continue to pastor the ministry while Eric Jr. is a drummer and preaches with Matt singing and Chris on keyboards. It sounds like Power Camp ministries is aptly named with sources from faith, family, and giving. 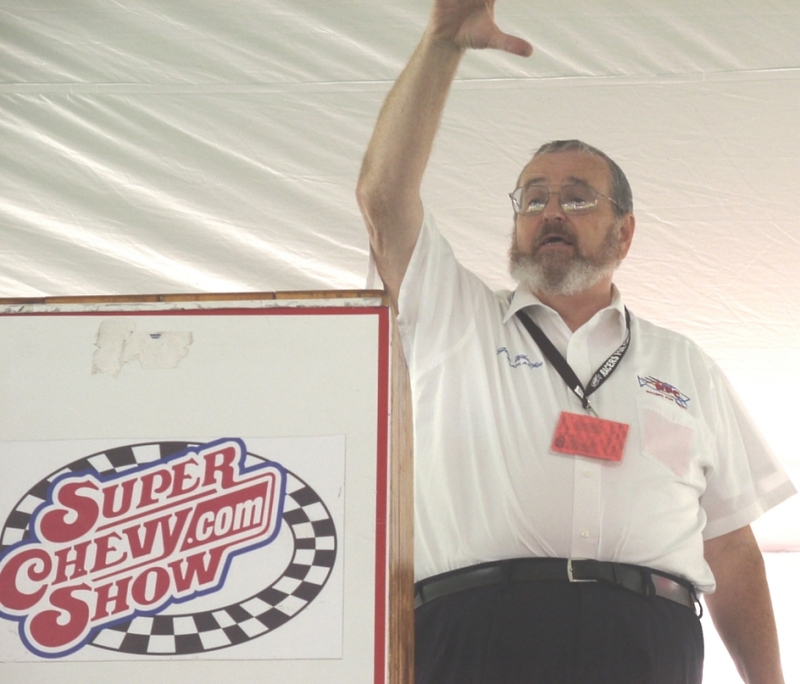 The season was well into swing as the Super Chevy Show at Maple Grove approached and Gospel Motorsports had yet to be at the dragstrip in 2007. While the rest of the team rested up from a grueling baseball tournament on Saturday, Darryl set out for Cecil County in the hopes of getting a few rounds of racing. To really step up the program, he entered both Street and Pro classes to maximize the practice. In spite of this being the first race, it was a great day as Darryl reached the third round in both classes. It also revealed the other elements of racing that were not up to the task like not having the spray bottle for the radiator. This proved to be trouble for hot lapping on a 94-degree in the shade kind of day. By the second round of Pro, the Nova started to run 190 degrees. To maximize the cool down, the car was pitted until the last possible moment. As the announcer put out a final call for round three of Pro cars, the Nova pulled into the end of the lanes, only to find a very interesting situation. The driver(s) of the car in front were going to forfeit their races as their last pass ended with little to no brakes on a very fast Camaro. Yes, there were two drivers in one car and they both had made it to the third round and had to forfeit two races. To get points for the round, they needed to stage and take the green then back out. This was a great opportunity as all that was needed was a green light, or so it was thought. Down track, Darryl contemplated shutting down at the 60' and then the 1000' just to conserve cool-down time. Instead, he ran it out the back to get a full time run and foolishly broke out by .03 losing the race. As the announcer was in disbelief, so was Darryl as he had to return to the staging lanes for third round of Street where the crew from the Pro car mentioned the mistake. Darryl shrugged and conveyed an overall good day. The crew member mentioned, "I guess you're not out for blood like some guys." It was then that Darryl realized his prayer of bringing glory to the Lord took on new meaning. The glory of winning certainly brings benefit to any racing program, but humility and sportsmanship are also important traits. Gospel Motorsports made their first outing of 2007 at the first annual Father's Day Car Show at Shepherd of the Hills Church in Bechtelsville, PA on June 17th. The car show was the inspiration of Shepherd of the Hills Family Pastor, Scott Staub who was motivated to allow the fathers to exercise their appreciation for things mechanical. Mother's Day provides an appreciation in the form of flowers, why not something a bit more masculine as a Father's Day format? The show entrants covered the classic manufacturers, European, and even some off-road vehicles. Click here for a collection of photos from the event. Shepherd of the Hills was able to wrap the car show into the Sunday service as Pastor John Brown delivered a message from Proverbs, reinforcing fatherly duties. Pastor Scott gave a message to those who remained outside for the show and at the end of the services all gathered in the parking lot to take in the show and enjoy hot dogs and refreshments. Gospel Motorsports' new Salvation Safety Equipment shirts were sold to raise money for the Shepherd of the Hills missions ministry. A number of youth and a few nimble adults took a seat inside the junior dragsters to get a feel of the cockpit and hear the rumble of a methanol engine. Pastor Scott brought the praise music that echoed from his vehicle and provided a great backdrop for the event. There were no prizes other than the fellowship with one another to share our vehicles and our faith in God. It was a great experience that we hope will continue as an event for years to come. On March 23, 2007 Nitro Funny Car driver Eric Medlen succumbed to head injuries suffered from a crash occurring five days prior while testing at Gainesville Raceway. He was a rising star in one of the fastest classes in drag racing, traveling at over 300mph. As part of the racing community, we all tend to reach inside ourselves to understand Eric's last moments on earth, to understand John Medlen, Eric's father and crewchief, or John Force as his team owner, friend and driving mentor, and finally to understand ourselves. We might think about that next step we make, the next breath we take, or the next thought we have and put it into the perspective of those closest to this loss. All of a sudden, that bad day at work seems quite meaningless and it brings a reminder to run our lives on the straight and narrow path that God has provided for us, much like a dragstrip. It reminds me of the valuable gift God has given us. In considering Eric's father, it also brings a perspective of the incredible pain and difficulty that must have existed for God to sacrifice His Son. His Son was perfect in every way to be put to suffering, pain, and torture for a fallen people. We are that fallen people and we owe an incredible respect and love to our Father God for his sacrifice. Our thoughts and prayers go to the Medlen family and those at John Force Racing. As of November 19th there are 91 days until Daytona speed weeks and like any driven race team (no pun intended) Gospel Motorsports is making plans for the next season. While there are mechanicals to worry about there is a much more challenging element to apply to next season. Gospel Motorsports started as a single team of faithful Christians with the ultimate sponsor who provides the ultimate in life. Like feeling the g-force in a high horsepower launch, we have just gotten a taste of witnessing to others in our journeys this year and we are hooked. How can we build more power in our program? If you or someone you know has an interest in motorsports and building the faith in others, contact us. Would you run a decal of Proverbs 21:31 on your race car, show car, or street car? If you would like to join in a group purchase of decals or shirts for 2007, contact us via email at crewchief@gospelmotorsports.com. Our goal is not to sell these items at a profit but only to cover the costs to generate the interest at other tracks, car shows and in various circles. We also hope to promote other ministries like Racers For Christ and remain as just a race team with mountains of horsepower in the program. Do you have a devotional involving automobiles and your faith? 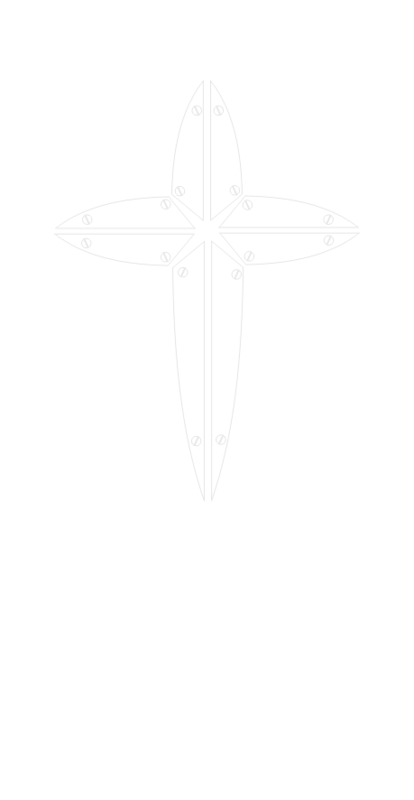 Or do you want to publish the race logs of your faith based racing program? Email it to us and we will publish it. Gospel Motorsports would like to welcome Adam and Jen Pyle to our team. 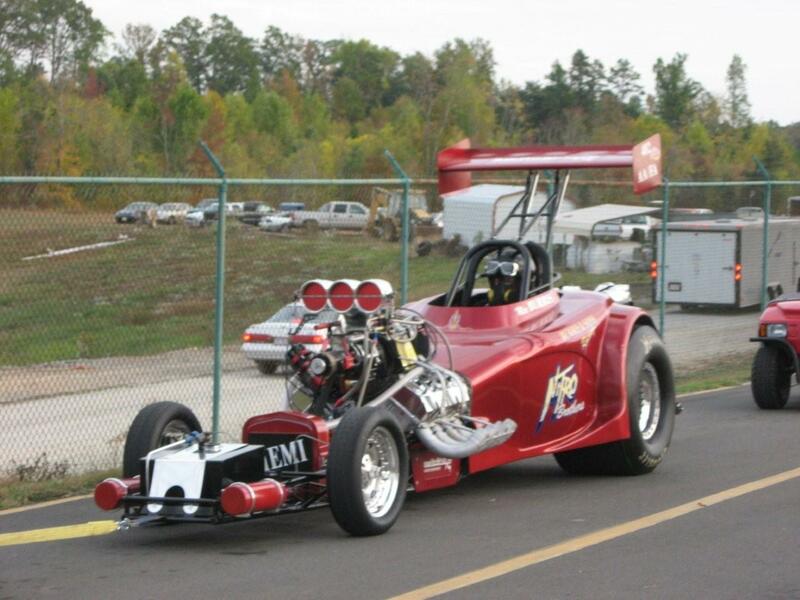 Adam races a very fast blown alcohol front engine dragster at various tracks throughout the eastern seaboard and shares the common goal of spreading the Word of the Lord at race tracks and automotive events. Look for more details on upcoming posts.